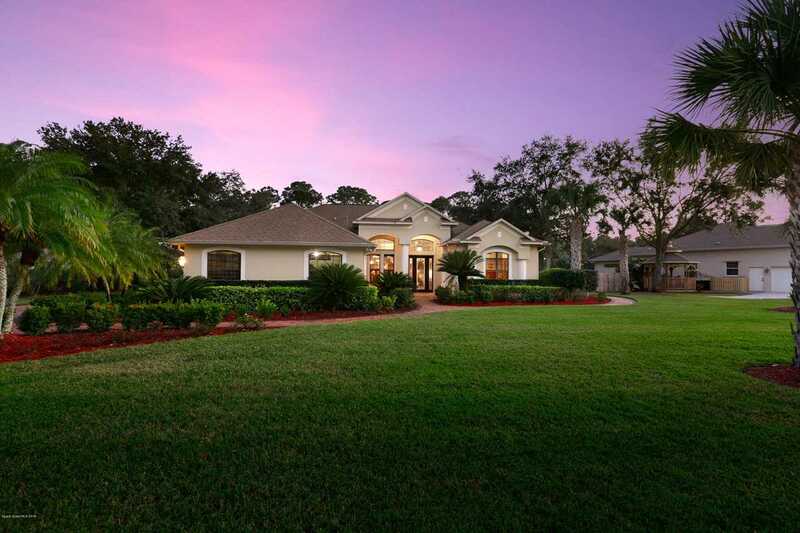 Customized Burgoon Berger executive estate on your own .75 acres of professionally manicured tropical oasis! Live the Florida dream with this one of a kind estate with solar heated Salt Water pool and complete privacy. This magnificent estate has approx. 200K in recent upgrades to include complete home generator, electric and accordion storm shutters, summer kitchen, beautiful real wood hand scraped flooring and level 3 granite. This home also has a highly efficient pool heater, ac system, and upgraded Fixtures throughout. This home has amazing high end finishes to include wainscoting and layers and layers of crown molding. Super clean oversized 3 garage offers plenty of storage areas. Thousands of dollars in paver work to include entire driveway and walkway around entire home! Lot Size: 0.75 Acres / 32670 Sq. Ft.
SchoolsClick map icons below to view information for schools near 370 SE Brightwater Drive Palm Bay, FL 32909.